Welcome to our July Stamp of the Month Blog Hop! 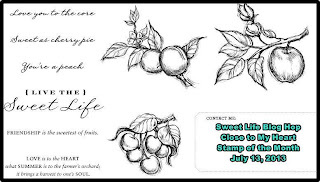 This month's stamp from Close to My Heart is "Sweet Life" and is available exclusively through your Close to My Heart consultant from July 1 - 31, 2013. 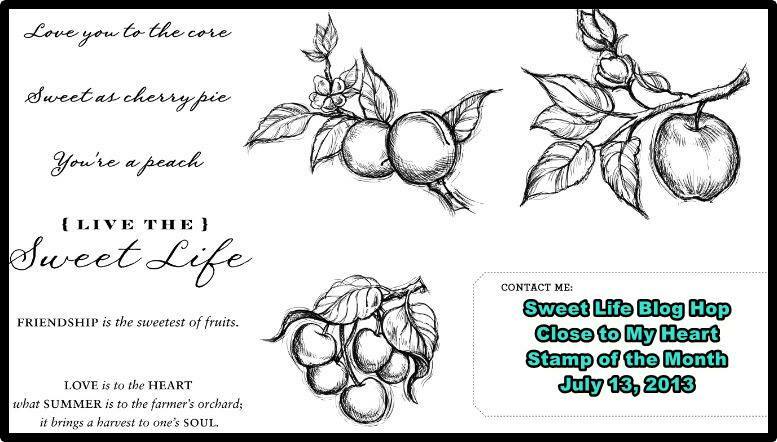 You can purchase this stamp set for only $5 with a qualifying purchase. For my project, I decided to stamp one of the images and color it with color pencils. I used Sweet leaf for the back round green. I outlined the leaves in a dark green, then I colored them in with a lighter green color. I did the same with the yellow for the flowers and the red for the apple. The image is stamped in black ink, and it is popped up with a little bit of foam tape. 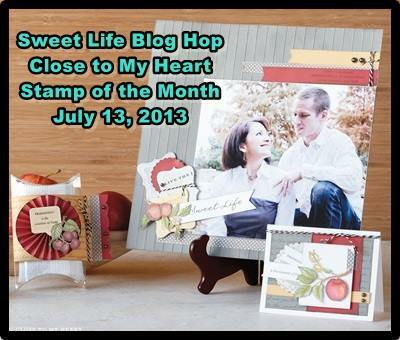 Your next stop on our "Sweet Life" hop is " Jennifer " of "4 Hearts Scrapbooking"
Great job with the colored pencils. I love how you keep the rest of the card simple to showcase your artwork. I am loving these cards and the great coloring on them! Love your card! Clean and simple! Your artwork really stands out!